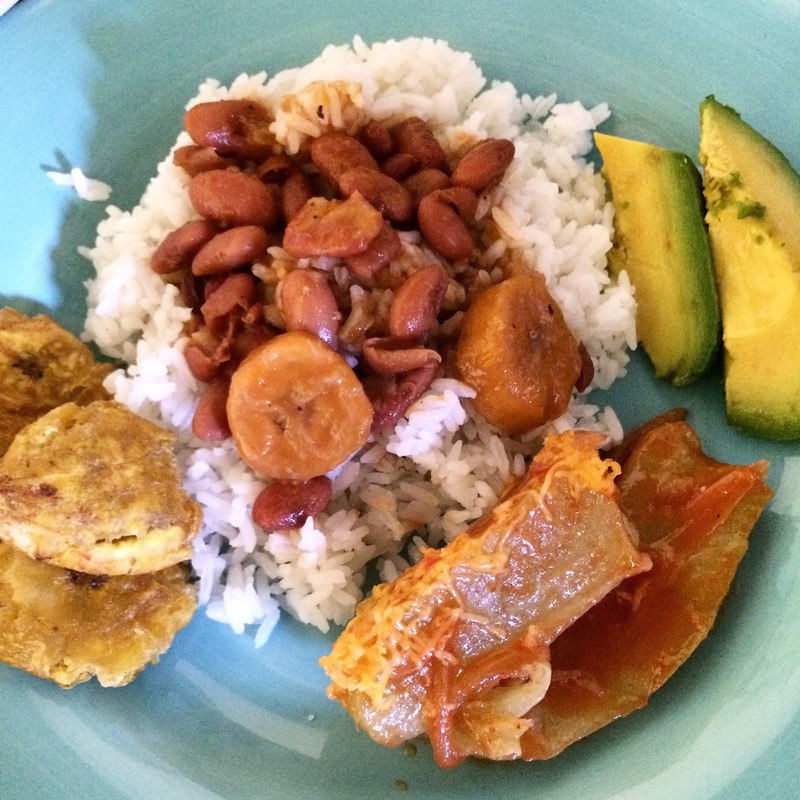 The final edition of my Dominican Food Week concludes with posts of Dominican Meals. Being vegetarian here is a challenge – it is not common, and I usually get weird stares from waiters when I ask about ingredients. I don’t eat meat (that means I will not eat any type of meat, poultry, or seafood) but I do eat eggs and dairy. Culturally, it may be hard to comprehend my eating habits. I want to thank every Dominican who has ever eaten with me and put up with my strange questions. Also, I want it to be known that I genuinely appreciate anyone who has ever cooked for me! That being said, I have eaten some delicious Dominican plates both in restaurants and in people’s homes. Some photographs are of my friends’ meals, to give a sampling of meat dishes. 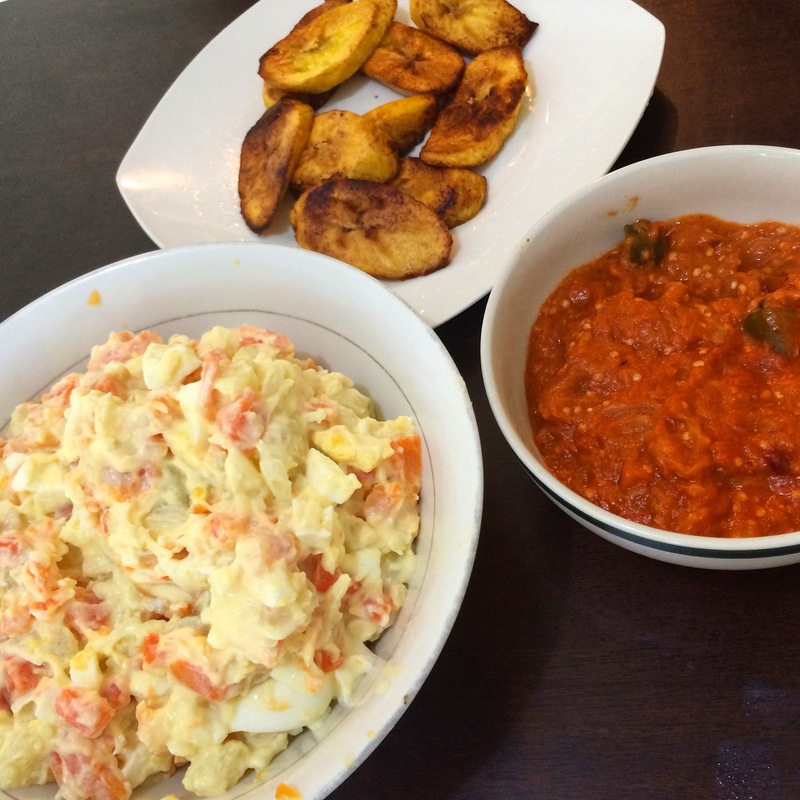 The dishes range from Americanized cuisine like pizza to traditional Dominican dishes. Side note: Lunches are A. BIG. DEAL here. 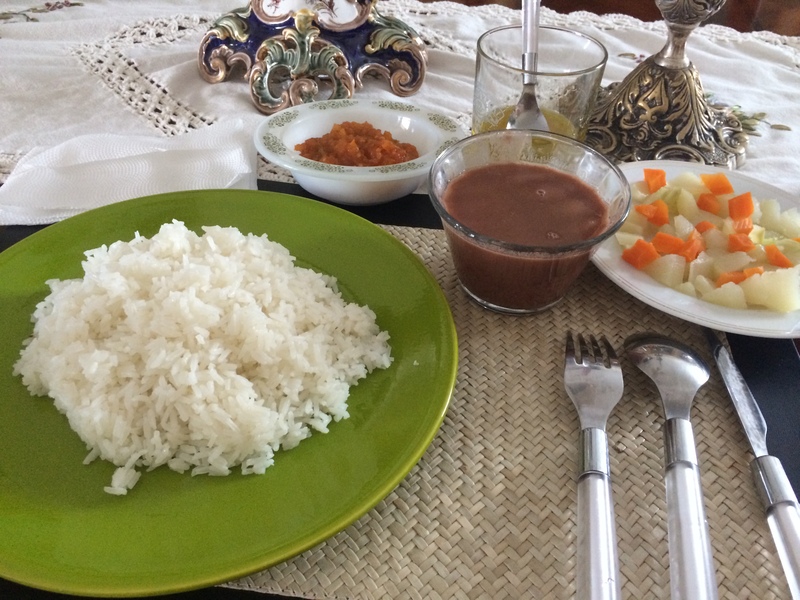 People typically eat big meals for lunch and have smaller dinners, so most of these photos are from lunches. This meal included meat (not pictured) of course, but here we see fried plantains, stewed eggplant with coconut milk (berenjena guisado), and Russian Salad (ensalada Rusia) made with boiled eggs, carrots, potatoes, onions, mayonnaise, vinegar, and olive oil. When I went to La Vega for Carnival, my friend and I stopped by her friends’ house for a big lunch. Here, I have rice and beans, tayote, fritos and avacado. When I was staying with one of my American friends, he had a wonderful maid who was there almost every day. She made fabulous lunches. 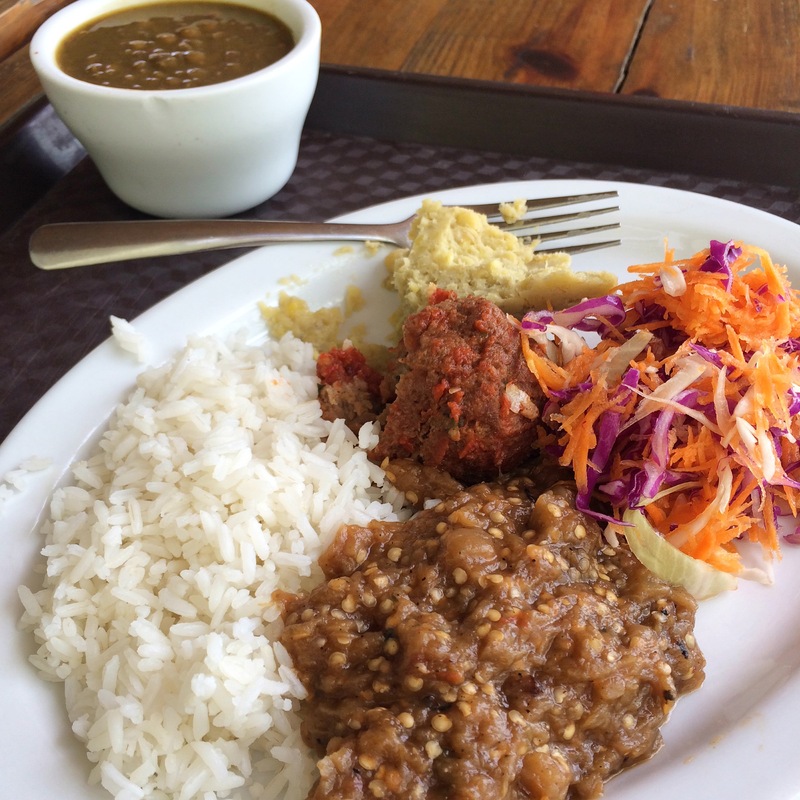 This lunch included rice and beans, stewed eggplant, and salad. My new favorite lunch spot Arvi’s has a buffet lunch, pay by the pound, and the selection varies each day. Here, I had lentils, rice, eggplant, a soy meatball, mangu (boiled and mashed plantains), and salad with cabbage and carrot. If you’ve never cared about your arteries, a Yaroa might be the best cheap street meal. 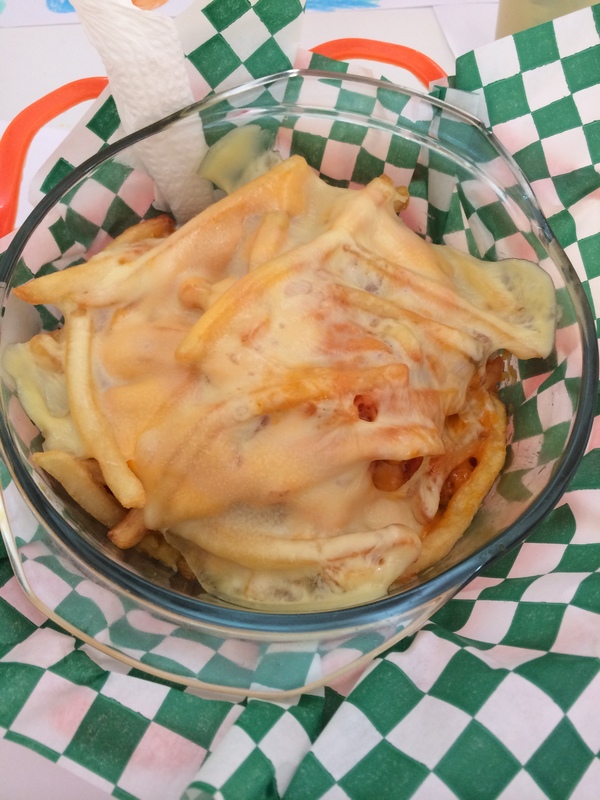 Slop on a base of mashed plantains (platano maduros), plop a handful of fries (papas), and then slather it with mayonnaise, ketchup (catsu), and CHEESE and there you have it. Usually it also contains meat (beef, chicken or pork). Every time I order a Yaroa without meat (sin carne), the chef is completely shocked and perhaps offended that I would consume such a treat without meat. Where else can you get a delicious heart-attack? 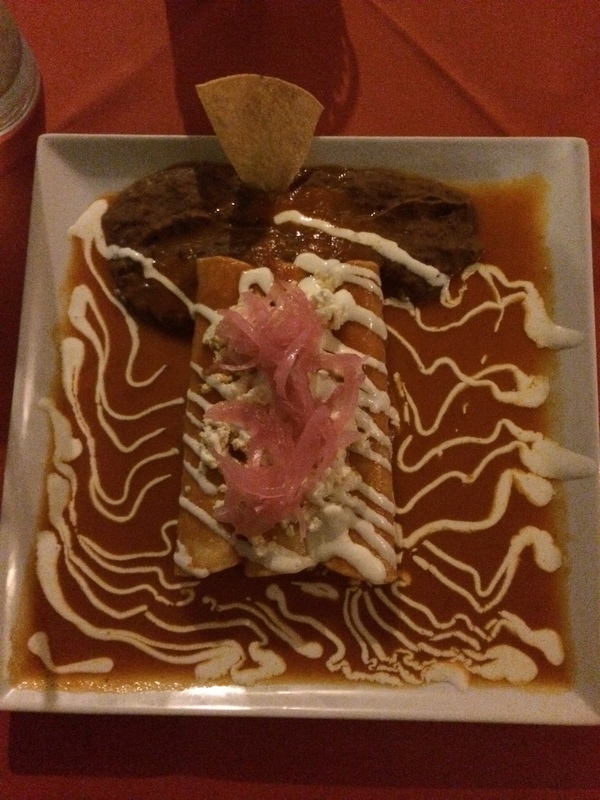 The Yaroa pictured is from Barriga Light in Santiago. One of the mysteries of Dominican cuisine – corn pizza… I personally do not like corn pizza but it is usually the only vegetarian pizza option. 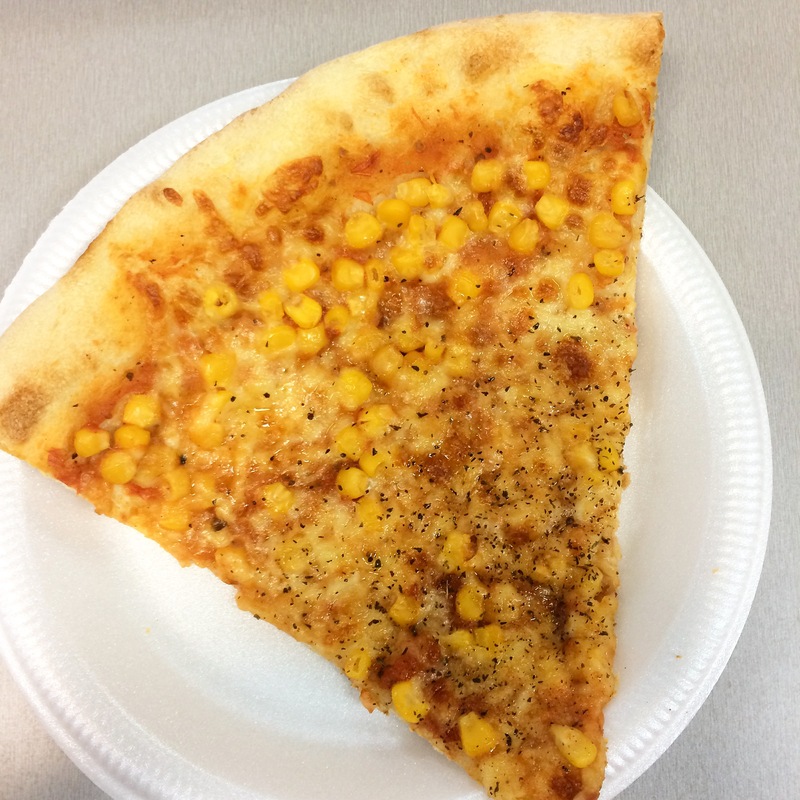 I think the appeal stems from the sweet corn on the salty pizza. I did not eat this fish, but it looks nice. 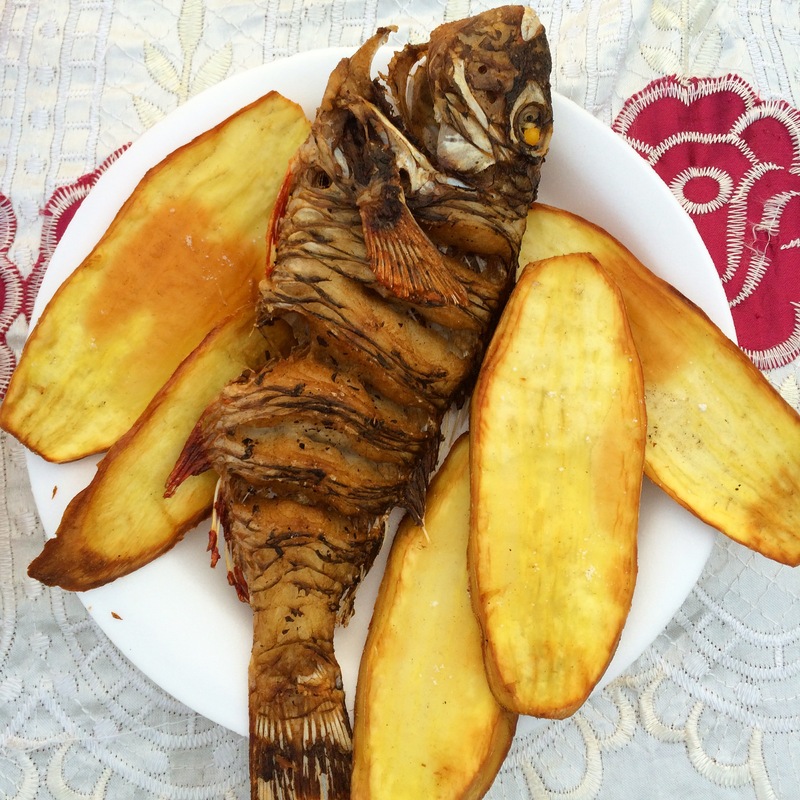 Cooked fresh on the grill at Playa Quemaito in Barahona, this traditional fish is paired with fried batata slices. This meaty sandwich, called “el Completo” literally has everything on it – all types of meat. It is a meat eater’s dream. 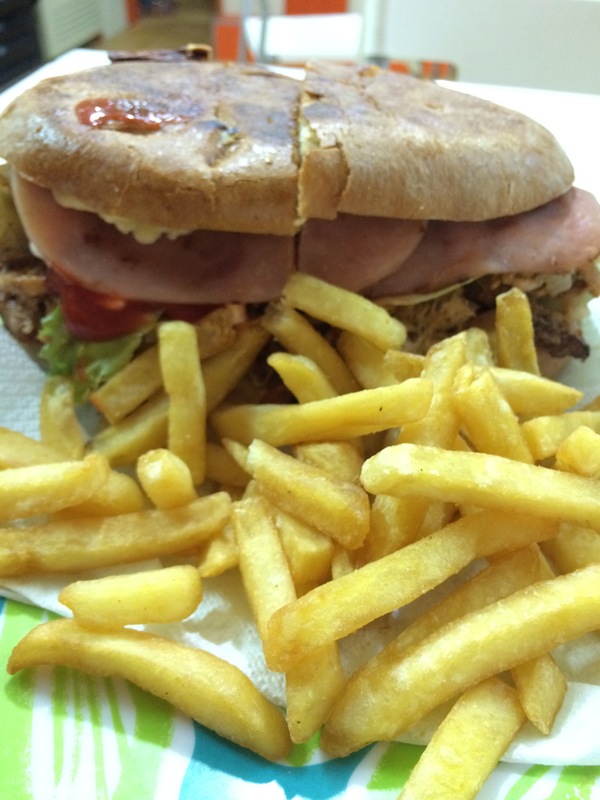 This sandwich was served at a local shop in Barahona, but this type can be found at most sandwich places. It is something I think should be on a game show or in an eating contest. 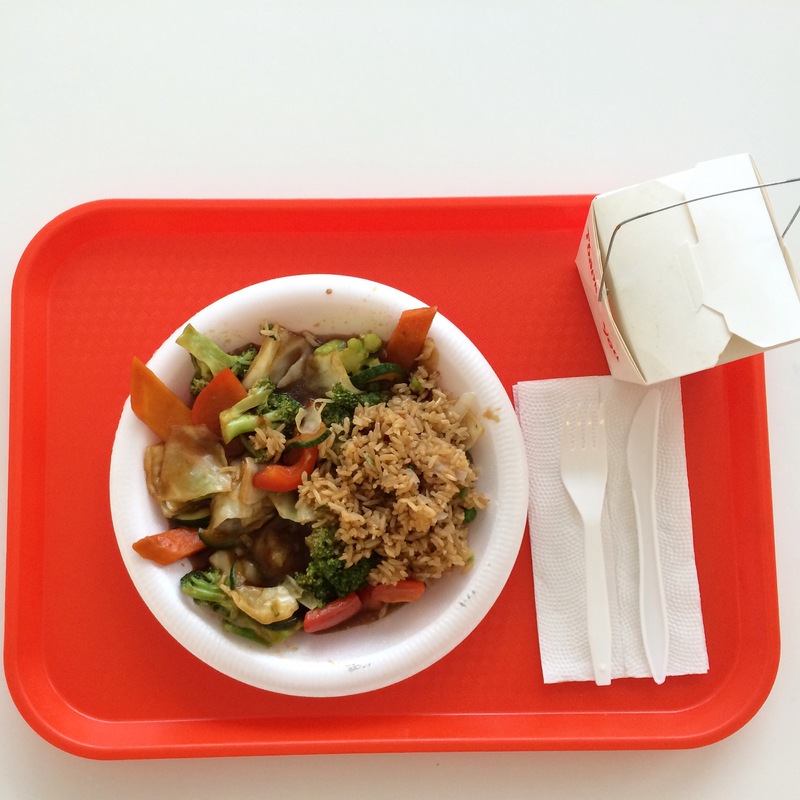 Jade Chinese Restaurant doesn’t have many vegetarian options, but I did snag a tasty “servicio” of vegetables and fried rice. Bella Cristal is one of the few authentic and not completely Dominicanized Asian restaurants that I have found here in the capital. My vegetarian friend and I first came here because of a recommendation on FourSquare. She has gone back with her family! Most Mexican cuisine here is Dominicanized. 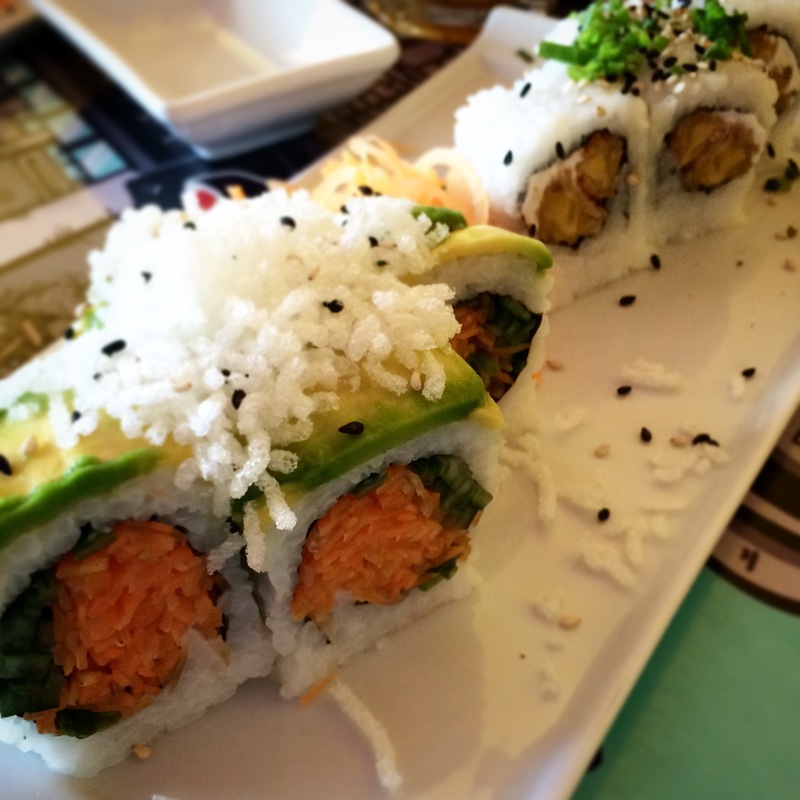 The exception is El Agave, which has two restaurants in Santo Domingo. Note: They have a happy hour starting at 4pm with half-priced Margaritas. Laurel is a trendy restaurant in the heart of Santo Domingo. They had a few vegetarian options, and also had a gluten free pasta option *fun fact*. 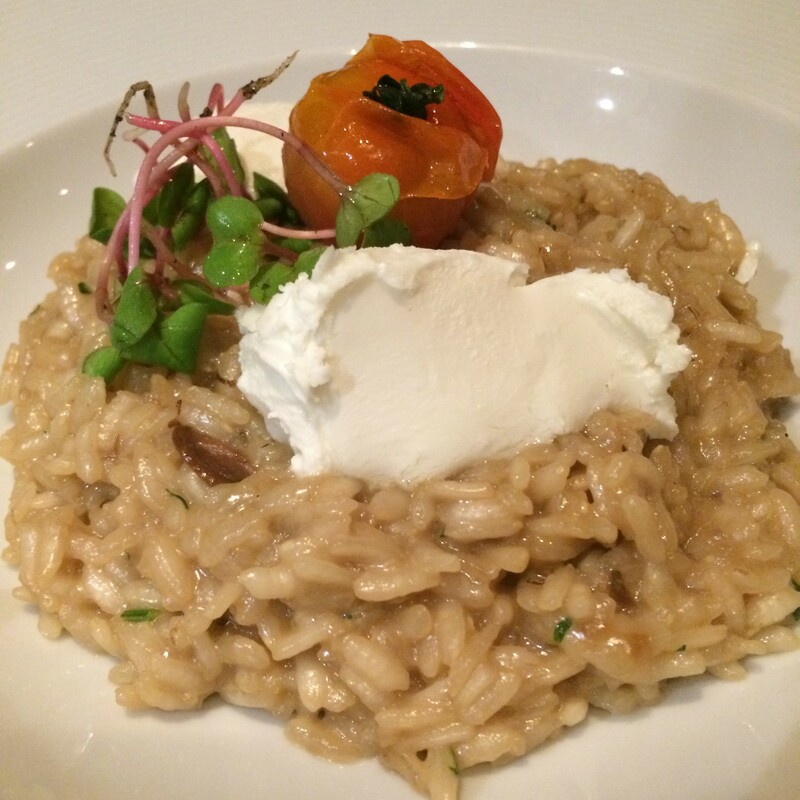 I tried the Mushroom Risotto and it was delicious. 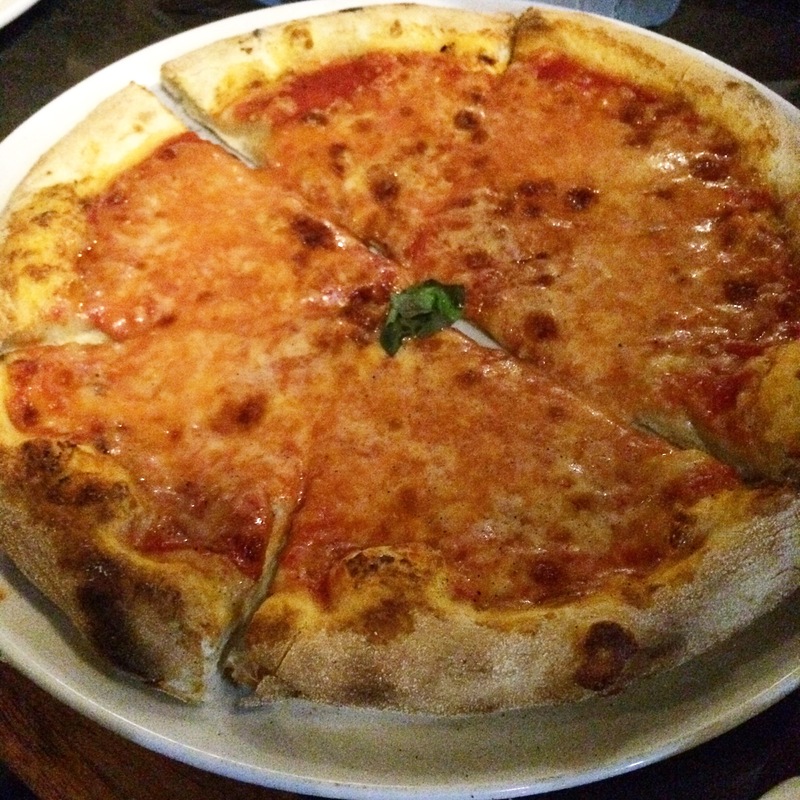 Very good Margherita pizza at Forno Bravo! I crave New York pizza often, and this one came close. Om nom nom! Thanks for sharing this Dominican Food Week with me! 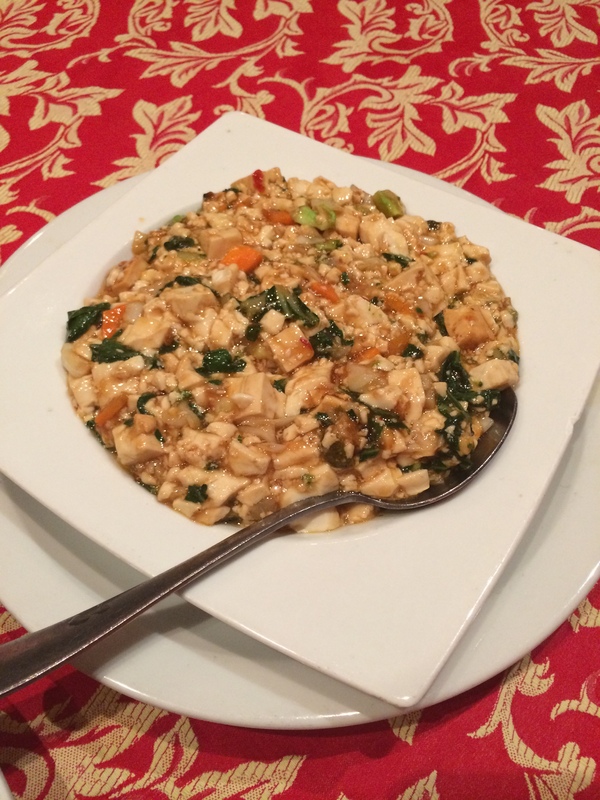 What are your favorite dishes? Eres una gran escritora, me encanta todo lo que escribes. Sarah, I am trying to contact you via email. Can you please reply? Thanks! Hi Holly! Hope all is well. Just seeing this now! Can you send me your email address?